and then we are so drained of energy that the busyness is not enjoyable but just distressing. "hurry always makes us hurt...hurry empties our souls." so yes. I think a lot about this. which is why I had this epiphany last year that I wanted to be Amish, and it was my goal. I didn't raise any barns and I didn't make any Amish friendship bread or wear a bonnet. but slowly, ever slowly, i made changes to soak in time. Kev and I made a vow that our home would be filled with relationships. because we wanted all attention on our guests, not on a distraction. "They say time is money, but that' not true. and if i want the fullest life, i need to find fullest time"
i constantly was trying to cram small spaces to deepen my relationships with these precious kids. i felt Abba calling me to consider leaving my job at Empowering Lives International. leave? i love my job. I get to mobilize people here in the US about what God is doing in Africa! I get to hear stories of transformation daily! but then it became so evident. i saw that the gospel must take root, alive and active. the good news that FREEDOM is available for all. that Abba calls his people out of darkness and into light. but to live it alongside these friends i love. because discipleship isn't just a one time deal. so friends, i quit my job. and celebrated when those who were lost became found. i'm not sure if kev and i will have enough money. pray for me dearest friends. we are called in the right direction. This is AWESOME! Count me as a prayer partner, sweet Katie! How blessed to be called to such an awe inspiring task!! I am praying for you as you take your first tentative steps into the unknown and remember...when you come to the end of all you know and are about to step off into the darkness, having faith is knowing that one of two things will happen. Either there will be something firm for you to stand on or you will be taught how to fly. So soar...soar high like an eagle and know that God is the wind beneath your wings!!! Definitely praying for you, Katie. I'm incredibly excited and thankful for this job Abba has placed before you. I'm anxiously awaiting lots more neighborhood stories! Friend, I 'feel' you so much in this post. i get it! The insecurity of giving up a job and focusing on just building relationships. It's a big step of faith. I really think that, in as much as time is money so we need to be busy working, i also think it's a bit easier for most people to just work. it's not the easiest or most comfortable thing to pursue and engage in meaningful relationships. It takes a lot of intent, purpose, and vulnerability. I know there are days where I wish I had a 9-5 job and a task list that I could just do and then feel like I accomplished something. But most of the time, I need to step out of my comfort zone and share my life with others. And for me, that is not always comfortable. Praying for you friend. wow. this is amazing and so very brave. god will provide for you; he always does. i wish you the best of luck on this new adventure and i will pray for you and kevin. Katie! As I read your message chills ran down my back, a touch from the holy spirit, INDESCRIBABLE! . It's amazing to see your willingness to be so obedient and follow Jesus calling to spend life with those around us and to fill the gap for those who are lost. I am pray for you sister and can't wait to be a witness to how God will rock your world and walk along side you through your amazing post and words. Praying for you! You are truly an inspiration. Your writing is moving and encouraging! GIRL. I just freaked out. & then I called Josh in to tell him all of this and I freaked out again. I am SO proud of you. Joshua and I are both so encouraged. Just yesterday he was reading to me from a book on Hudson Taylor and the faith that he had in life, and we both desire that kind of faith so much. We both are soooo moved by your submission to the call the Lord has placed on you and it just makes me even more excited to see how He uses you!!! You are SO the real deal and I'm so grateful that so many people in this blog world get to see such a genuine believer and be challenged by the way you live!!! AH, I'm still freaking out!!!!!!!!!! Wow Katie...I just love your heart for service!! I am so excited to follow you on this journey because I KNOW God is going to use you in even bigger ways than he already is. I am praying for you!! LOVED this post. and I can't wait to see the ways God will use you in the future. I so appreciate that quote you pulled about time NOT being money, but being life. I need to remember that daily. I am so excited that you finally announced this! I am so excited to see how God uses you in the new year! Oh wow, that's a huge and a very exciting step, a big change! 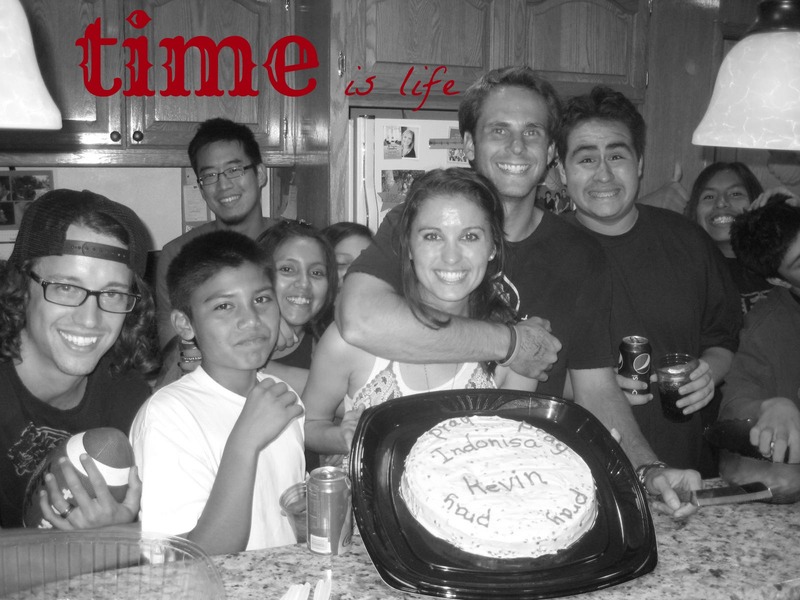 But I love that phrase "time is life"--I also believe that the not-wasted life is one that was spent on relationships and truly getting involved in people's lives!